If you can’t stand the heat, get out of the kitchen! 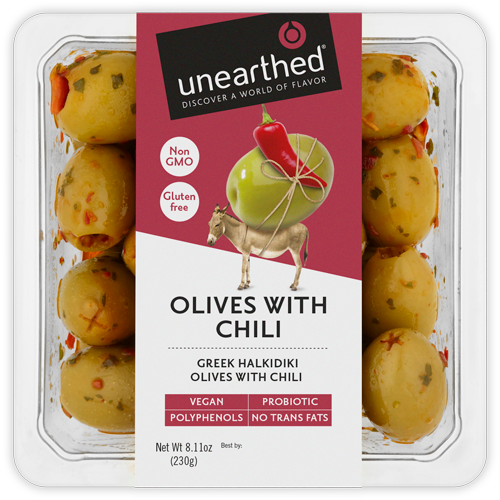 We discovered these chili olives on our travels through Greece and decided we had to share them. The olives have grown on centuries-old trees on the Halkidiki peninsula, birthplace of Aristotle. 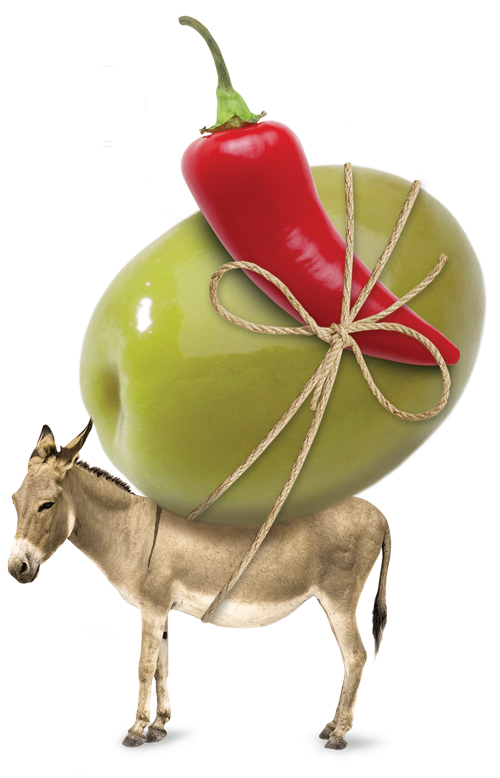 They’re handpicked and gently fermented to make them delightfully easy to eat, before we add red chili for a fiery kick of flavor. Our Greek friends love them and we think you will too! Halkidiki Olives (Green Olives, Salt), Chili Puree (Red Chilies, Sugar, White Wine Vinegar, Tomato Paste, Water, Salt, Cornflour, Natural Flavoring), Sunflower Oil, Red Pepper Mezze (Roasted Red Peppers [Red Peppers, Red Wine Vinegar, Sea Salt], Sugar, Corn Starch), Chili Flakes, Cilantro, Parsley.